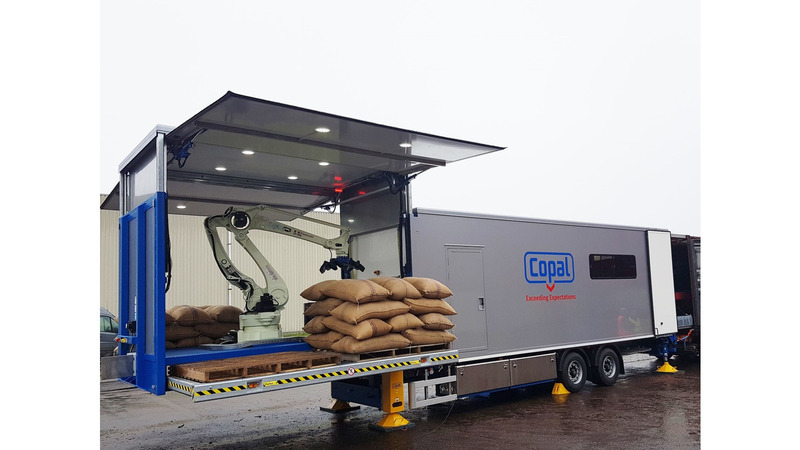 The flexible Copal C2 Mobile unloading system unloads heavy jute bags semi-automatic from containers. With a capacity of 400 bags per hour, sea containers are quickly unloaded and palletized without physical constraint of your employees. One operator controls the system, which does the work automatically with Artificial Intelligence or semi-automatic with two joysticks, supported by an advanced PLC controller. The system can be moved quickly and easily and operate at multiple locations, also outside. No dock levellers are needed. The setup of the system is easy and only takes 15 minutes. 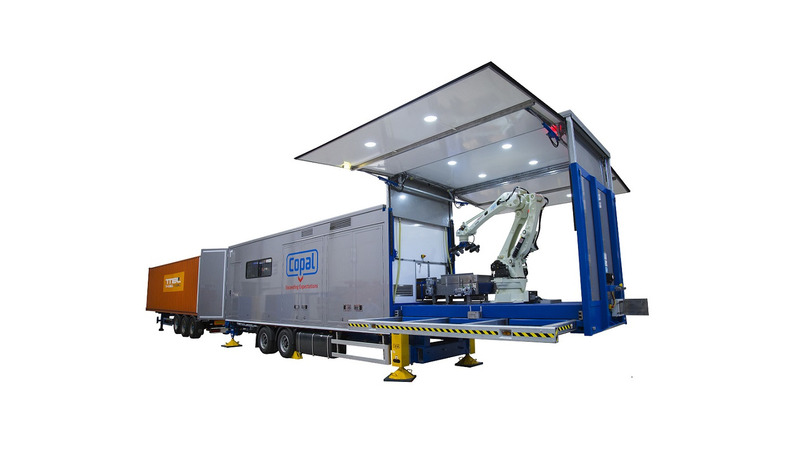 The Copal C2 Mobile is integrated in a trailer and can be transported by road without the need of special permits. The machine is equipped with a SpiderGripper that can pick up bags up to 100 kg, turn 360 degrees and has several rotation and tilting points. Laser sensors ensure the automatic positioning of the gripper. This means that bags which are not lying flat, but for instance lying askew over each other, can be picked up and deposited in a straight position on the conveyor. The bags are palletised by a robot, according to a stacking pattern set by the customer. 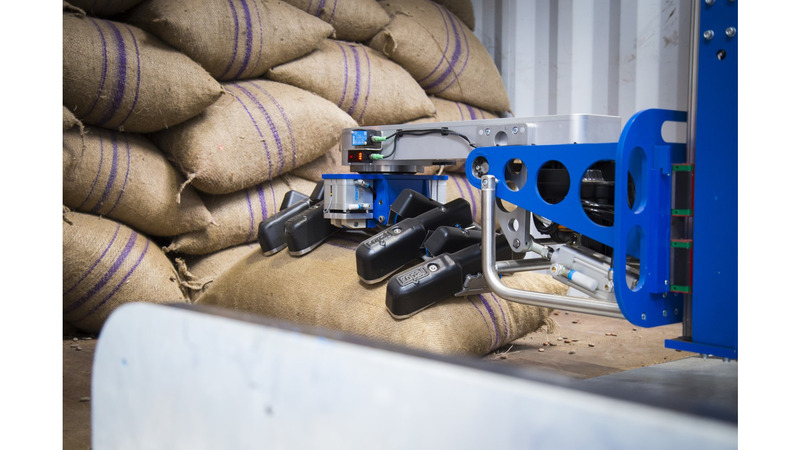 Bags can be sorted and automatic sampling, weighing and moisture detection is optionally available. Palletizing can be done on all types of pallets. After completion, the pallets are removed with a forklift truck. 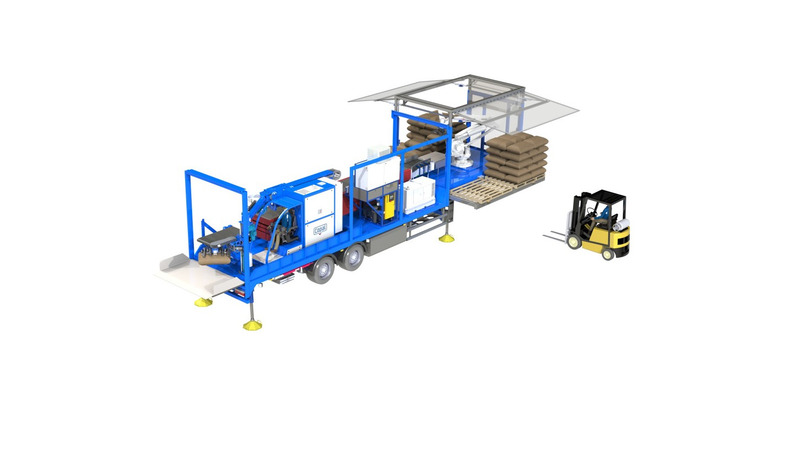 The semi-automatic container unloading systems from Copal will improve the efficiency and continuity of your container handling process. Workers performances decrease during manual container unloading, due to heavy physical work in demanding working conditions, like in sea ports. The availability of workers willing to do this heavy work becomes an issue. Regulations related to maximum lifting weights are getting stricter, resulting in fines for companies that do not act according to these rules.